NIT Srinagar Recruitment 2019 - Job notification for Project Assistant Post on a project entitled “Model Order Reduction for Simulation Acceleration in Power Electronics” in Department of Electrical Engineering, NIT Srinagar, Jammu & Kashmir on Temporary Basis. 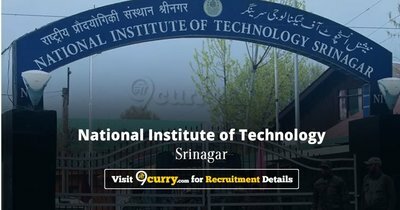 Applications are invited by National Institute of Technology Srinagar on or before 22 Apr 2019 for 1 vacancy. b) B. E. / B. Tech in Electrical Engineering (minimum CGPA 8.0 / 80%) and a valid GATE score. ₹25,000 pm + HRA (likely to be revised to ₹31,000 pm + HRA) as per institute norms. Eligible candidates may send their CVs/ Resume by E-mail to abid@nitsri.net on or before 22 Apr 2019.